Shawn Blanc of The Sweet Setup skipped town this summer, spending a month with his family living in Colorado instead of his home in Kansas City. The temporary digs meant packing light, so he took just his Leica Q camera and his iPad Pro for photography. 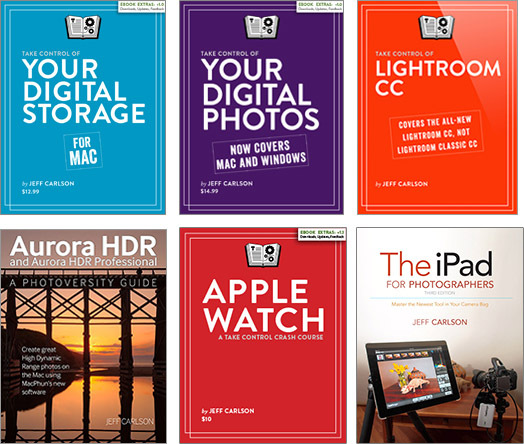 In “My iPad Photography Workflow,” Shawn breaks down how he edits and manages his shots. For instance, although he captured Raw+JPEG images using the Leica, he found himself usually transferring (wirelessly) the JPEGs because they were more convenient. It’s a good read, and, as he says at the end, a teaser for an upcoming mobile photography course. Recently I needed to grab some screenshots of Lightroom mobile on the iPad and realized that I’d been running a beta for quite a while. I deleted the beta and re-loaded the release version and was momentarily taken aback: it seemed so basic compared to what I’ve been using! Selective Brush: When Adobe added gradient masks, Lightroom mobile became much more versatile, especially when editing landscape photos. Now, there’s a brush tool for painting masked areas or removing areas from gradients (like mountains that poke up into a sky you want to darken). Details Pane: At last, you can apply Lightroom’s sharpening and noise-reduction tools to an image or a mask, instead of pounding away at it with the Clarity slider. Redesigned iPad Interface: The editing tools are now accessible by tapping an Edit button, separating it from the Info interface (and the Rate & Review interface on the iPhone). This does have a drawback, though, in that the editing controls take up an awfully large section of the screen at the expense of the image you’re editing. Lightroom mobile is free to use, although a Creative Cloud subscription is required to sync photos and collections between devices. Well now, this is interesting. PetaPixel spotted a feature in one of the slides during yesterday’s WWDC keynote that reads: “RAW photo editing.” We don’t yet know the details, but if iOS finally supports raw images, that could be a giant leap for mobile photo workflows. 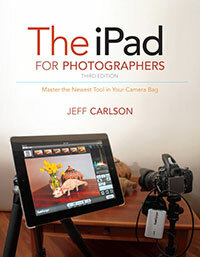 Raw is typically where the iPad has thrown a wrench into the works (as I describe in my book and elsewhere). iOS 10 is available now to developers, with a public beta coming in July. The update will be available for everyone in the fall when we’ll see new iPhone models. I would bet (and the PetaPixel article brings up) that we’ll see some sort of raw capture on the new iPhones and perhaps the iPad, too. Shortly after Apple announced the new 9.7-inch iPad Pro, I wrote a very quick take on the new True Tone display feature. True Tone automatically adjusts the color temperature of the iPad’s screen to complement the ambient light of your surroundings. For example, have you ever been in a room with warm light and checked email on an iPad, only to lose your eyeballs from the cool-bright burst of light? (Maybe I exaggerate…) True Tone is the answer to that. However, my initial reaction as a photographer was wariness. If the color of the screen is changing depending on my environment, how can I do any sort of accurate editing? I confirmed that this will be a setting that can be turned off. And I continue to wait until I can get my hands on a device and test it out. @asymco Apple released the equivalent of the Retina display on Monday (DCI-P3 with color management) and no one has figured it out. Yet. The Open Radar report Craig created notes that iOS 9.3 now supports ColorSync, the technology found in OS X for managing color profiles. Additionally, starting with iOS 9.3 ColorSync support was added to UIKit. I’ve noticed that it works correctly for both UIColor in a UILabel and with a UIImage in a UIImageView. Are there any other places where ICC profiles are used? In a conversation with Apple engineers, I also learned that some older devices do not match color. That’s fine, but devices should be listed so our apps can adapt gracefully to this situation. Why is color management important? Until now, every iOS device ships with just one color profile, sRGB, which is a good general color space for drawing color on screens. The problem is that not all screens are built the same: the photo you view on your laptop may look different on a desktop monitor, which may look different still on a mobile device. Color management is a way to adjust each of those screens so that the image you’re working on remains consistent. Apple’s screens are generally very good, but for photographers and other visual artists and designers, the inability to adjust the color profile has meant that the iPad is excluded from any serious image-processing workflows. Now, with true color management possible on the iPad Pro, the tablet may find a place in that chain, and perhaps photographers will be able to do final adjustment work on an iPad instead of bringing a laptop. We’ll see when the 9.7-inch iPad Pro begins to ship. As Craig notes in his report, it’s not clear whether this capability extends to other hardware or if this iPad Pro is the only one. But with a ColorSync foundation in iOS, it puts more “Pro” into iPad Pro. iPhoto 2.0 for iOS is a fantastic upgrade to Apple’s mobile consumer image editing flagship program; its streamlined, updated interface is a joy to use. Though not as cute and whimsical as last year’s debut version, its swift operation, direct controls, enhanced sharing, and no-nonsense interface make it a must-have upgrade. Other pressing deadlines have kept me from digging into the new version in depth, but it’s still the photo editor I turn to first on my iPad. I’m looking forward to seeing how well it performs on my new iPad Air, since Jackie’s review suggests a lot of the processing is now being handled by the graphics processor. Federico Viticci at Macstories writes about a very interesting change in Apple’s latest iPhoto 2.0 app for iPhone and iPad. In the first version of iPhoto for iOS, images you edit stay in iPhoto unless you explicitly share them back to the Camera Roll. This situation applies to other applications, too, due to the sandboxing security architecture that keeps apps separated in their own virtual workspaces. iPhoto 2.0, however, manages to tunnel under the sandbox walls and updates edited photos in the Camera Roll without any additional export step. If you view the image in the Photos app and tap the Edit button, you can edit the original. In another great move, you can now delete photos from the Camera Roll from within iPhoto: Tap the More button (which looks like an outlined ellipses … ) in the bottom-right corner and choose Delete. There’s also an option to hide a photo from view in iPhoto there. Go read Federico’s article for more details. Currently this functionality doesn’t seem to be accessible by third-party developers, but I’m hoping it doesn’t stay Apple-only. 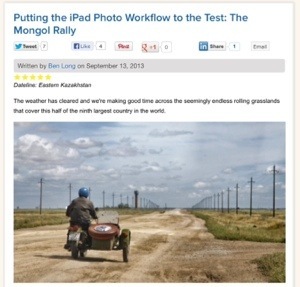 Broken exhausts, punctured tires, lack of a good histogram—these are the kinds of problems an iPad-based photographer faces on an event such as the Mongol Rally, a charity road rally that I have been participating in for the last nineteen days. I’m a fan of Ben’s work, and this article is excellent.